A strong desire to be an independent health care provider sparked Dr. Fox’s interest in dentistry. He graduated from St. Louis University in 1984 and earned his Doctorate of Dental Science from the University of Tennessee College of Dentistry in 1988. He believes in continuing education to provide his patients with the most up to date technology, research and treatment methods to give you the results you are looking for. Dr. Fox is trained to use a variety of dental implant systems and he is a certified Invisalign provider. He is also licensed in oral sedation and certified through the American Heart Association in Advanced Cardiac Life Support. He is also a member of the Academy of General Dentistry and the Dental Organization for Conscious Sedation. 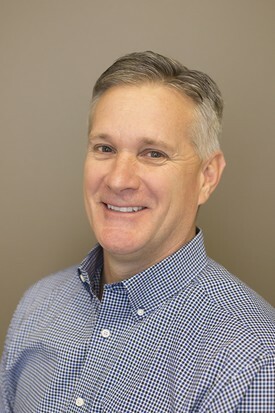 Dr. Fox is a member of the Goodlettsville Chamber of Commerce. He and his family have been on mission trips to Haiti and support this outreach through Our Lady of the Lake Church in Hendersonville. They also support and participate in activities at St. Joseph School in Madison and Pope John Paul II High School in Hendersonville . Dr. Fox also supports St. Jude’s Children’s Hospital. Dr. Fox lives in Hendersonville, Tennessee with his wife Kimberly and their three children: Sam, Kate, and Anna. When he is not working, Dr. Fox enjoys spending time outdoors with his family, boating, landscaping, and gardening. 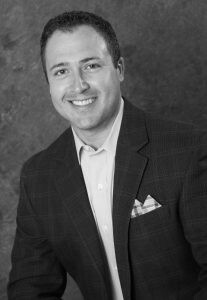 Dr. Pitts is originally from Sapulpa, OK where he grew up the son of a dentist. He then went on to matriculate at the University of Oklahoma (Boomer Sooner!) where he graduated with honors as a Founder’s Medal award recipient and was recognized by his peers as “Big Man On Campus.” He then went on to receive his Doctorate of Dental Surgery degree at the University of Oklahoma College of Dentistry and his Doctorate of Medicine degree at Vanderbilt University School of Medicine. After Medical School, he completed a General Surgery internship and his Surgical residency at Vanderbilt University Medical Center in Nashville, TN. He completed his formal training with a fellowship in Facial Aesthetic surgery at the prestigious T. William Evans Facial Aesthetic Surgery program in Columbus, OH. Upon completion of his training, Dr. Pitts returned to Nashville to join Oral Surgical Institute as an associate surgeon practicing all aspects of Oral & Maxillofacial Surgery with an emphasis on facial cosmetic surgery. He is recognized as a diplomat of the American Board of Oral & Maxillofacial Surgeons and regularly lectures to area medical and dental organizations on various topics in Oral & Maxillofacial Surgery. He participates on numerous committees in local hospitals as well as within the American Association of Oral & Maxillofacial Surgeons. In 2015, Dr. Pitts became President of Oral Surgical Institute and continues to enjoy practicing all aspects of his surgical specialty. In recognition of his contributions to the specialty, Dr. Pitts was selected as a Fellow in the American College of Surgeons (FACS) in 2016. He is married to his beautiful wife Maggie and they reside in the Sylvan Park area of Nashville with their dog Mollie. He enjoys spending time with friends, running, hiking, and the occasional round of golf.